The word “Injiri” has a history that describes the brand itself. 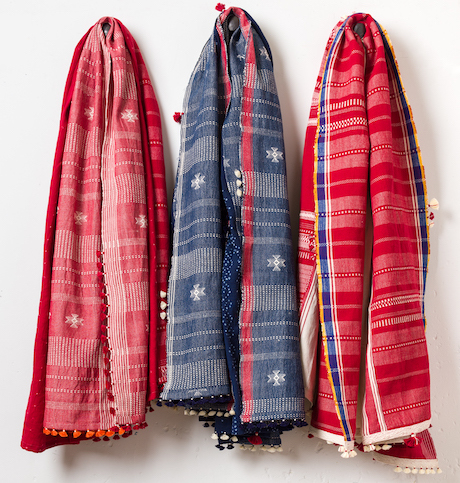 Meaning “real India,” it is deeply rooted in the culture and was once the highest quality of cloth one could own. It was worn and treasured by Kalabari chiefs for ceremonial occasions (like the birth of a child). Traditionally, it is a design made up of vertical and horizontal lines making a plaid or check pattern and treasured for the skill that goes into producing such a beautiful piece.